Surveying of Japanese pampas grass and mountain. Free stock photo. Japan:Saitama, 1280x960, 619KB. 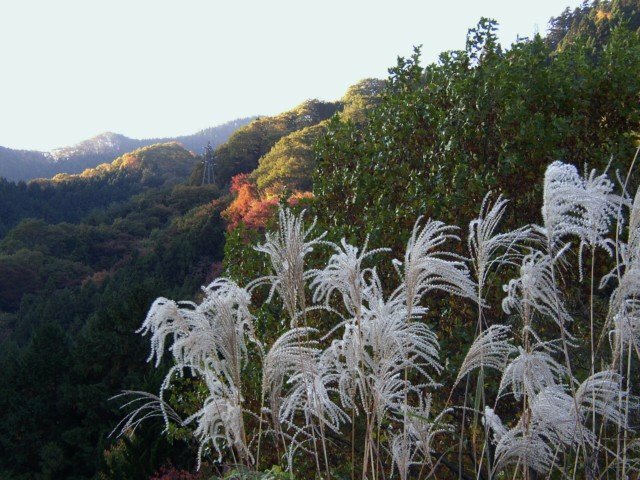 On this page, you can download the photo titled "Surveying of Japanese pampas grass and mountain". The resolution of this photograph is 1280x960. And the size is 619KB(633849B). The image belongs to the categories named " Japan Saitama Plant Others_concerning_Plant Mountain_and_Snow Season Autumn ".